They also party fifteen times as hard as other insects, so there’s that. 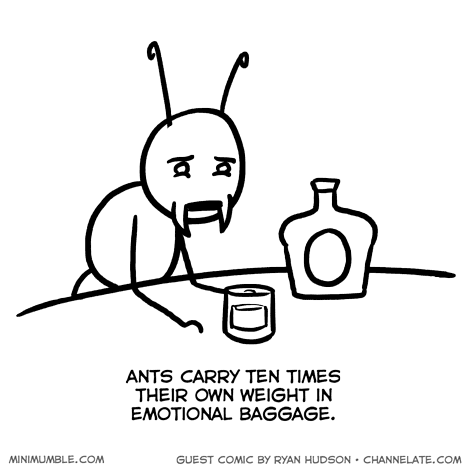 According to the research on the topic that I did in grade 6, ants can carry up to 200 times there own weight. I got this information from a book on ants.